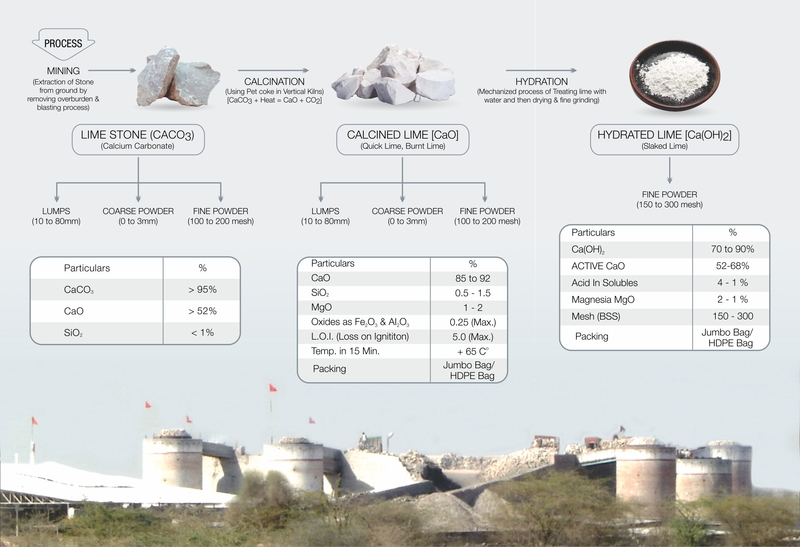 A Family oriented company promoted by Shri Hari Prasad Agarwal in way back 1996 by installing one lime kiln at Borunda village of Jodhpur District is now producing almost 300 ton per day CALCINED LIME aka QUICK LIME, almost 150 ton per day of HYDRATED LIME and other allied products. 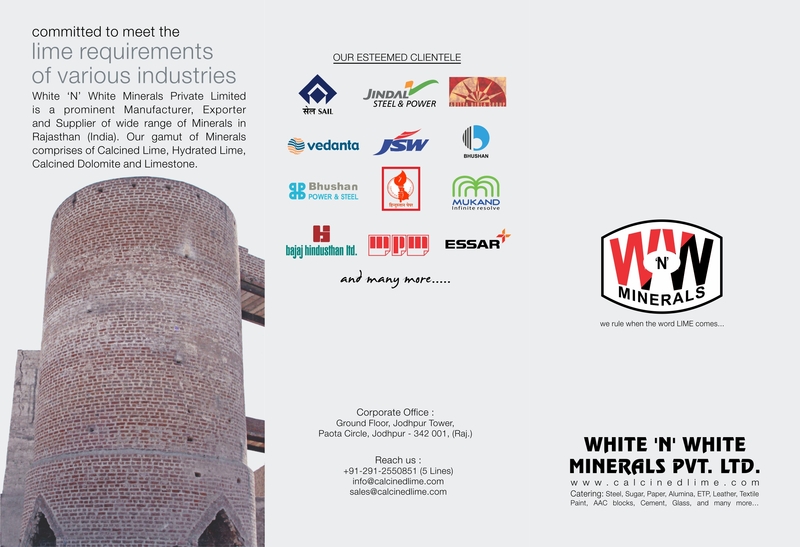 The Company owns captive HIGH PURITY LIME STONE MINES, 14 LIME KILNS, 1 HYDRATED LIME PLANT and a total of 8 Lime sizing plants. Company is committed to provide customized solutions to industries like Steel, Sugar, Paper, Aluminium, Paint, Leather, AAC blocks, Road Construction, FGD (FLUE GAS DESULPHURISATION) looking to buy industrial LIME in any of its form.